Inside secrets are revealed and burning questions answered in the conclusion to our Silent Sister readalong. 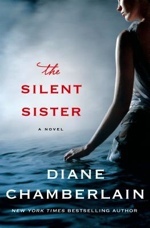 The premise to Diane Chamberlain’s The Silent Sister is that Riley MacPherson has spent her entire life believing her older sister Lisa committed suicide as a teenager. More than 20 years later, she finds out that’s not the case and must uncover many truths amidst all the lies she’s been told her entire life and question everything she ever thought she knew about her family. Hooked yet? 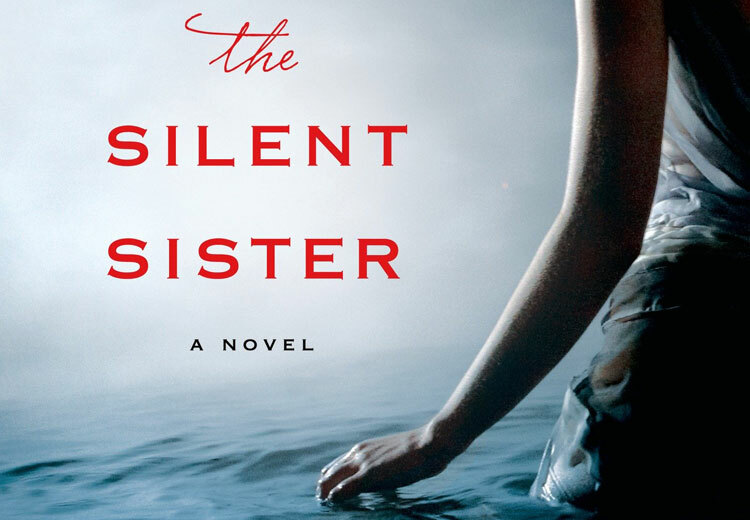 From a haunting prologue to sections that feel like a roller coaster ride along Chamberlain’s trail of secrets, The Silent Sister is a thrilling read that will make you question your own family. Our readalong over the past few weeks has been filled with insights into Chamberlain’s characters and plot and more than a few unanswered questions. We asked Chamberlain the big ones — like why is Danny so angry at Lisa and why she put poor Riley through the ringer — and she also reveals a few secrets of her own about this novel in the interview below. Warning: Spoilers included below. We marked spoiler questions as such and recommend skipping them if you haven’t finished the book. To see comments from our readalong with Traveling With T, click on parts one, two and three. EZB: Your brother is also a writer, and you’ve said that you borrowed the story idea of a missing sister from him. How is your story different from his? DC: My brother Rob Lopresti is a mystery writer. He’s written about 60 short stories for Alfred Hitchcock and those kinds of mystery magazines. He had sent me a short story that he wrote because it was set in our hometown and it was a little bit like our family, and he wanted to make sure that nobody would be offended. I was reading the story and in it a sister disappears. The way my brother resolved it is the way he would usually resolve this kind of thing in his more hard-boiled mystery stories, and I said to him, ‘In a Diane Chamberlain book, here’s what would really happen. Then, it started me thinking of having a disappearing sister. He let me steal that part of his idea. EZB: What do you mean by “a Diane Chamberlain book?” What’s your signature style? DC: In his, it was just a simple here’s what happened, and it wasn’t really a big part of his story. With me, I thought she is not going to be dead, she is going to reveal something slowly over time. Originally, I had an idea that she would have sent a whole lot of letters home and that Riley, my main character, would find these letters. When I wrote the first draft, it was all these letters and then gradually I felt like there was a better way to tell the story. I think it’s just more mysterious. Whatever happened to her had to be uncovered slowly, with hints being dribbled out to the reader. EZB: In your prologue, you let the reader in on the big secret that the sister is not dead. Was that always in the book? 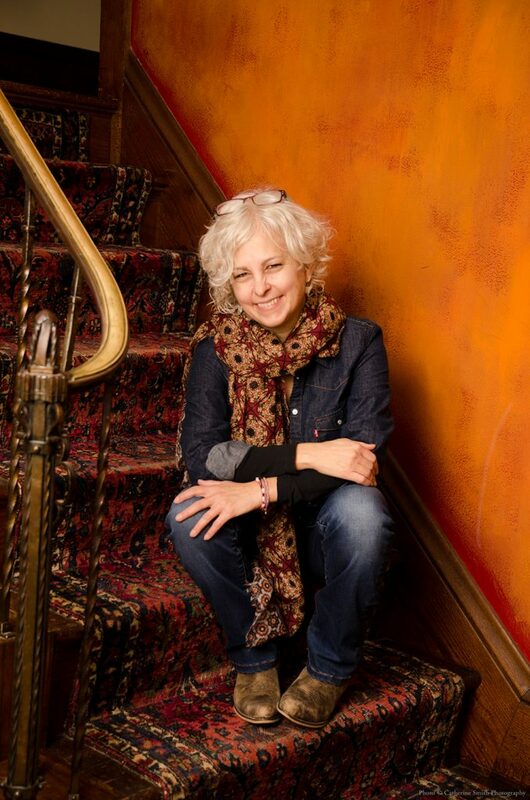 DC: I would say the final draft was probably about a fifth draft so I did it in a lot of different ways, but I wanted to hint — and I don’t really tell the reader that she’s not dead — but I wanted to hint very strongly at the fact that she’s not dead. Of course it’s on the cover copy, so we know she’s not dead, but we’re still very much in Riley’s point of view as Riley begins to learn that she’s not dead. The first few drafts I was probably hiding it more seriously, but then eventually realized that it really was OK to let the reader in on some things that Riley wasn’t in on. EZB: Why did you decide to give us Lisa’s voice in part two? DC: When I first wrote it and I had all these letters and they were from from Lisa’s point of view, I really wanted to know her story. It’s just that the letters weren’t working so at that point I decided I was going to tell the reader her story but in a different way. So, we go back in time and I also had to decide what point of view to use, because Riley is first person and when I started writing Lisa’s point of view, I did it in first persona and their voices sounded too similar to me. Also because in Lisa’s we’re going back in time, I wanted to really differentiate her chapters from Riley’s chapters, so I made Lisa’s chapters third person point of view. From a writing point of view, I had all of her chapters in first person and I had to go back in and change everything to third person, which was quite a job and up until the final minute I turned the book in I was still finding places where Lisa was saying I instead of she. That was a bit of a challenge, but I think it had to happen. EZB: None of your characters, except Riley, are very trustworthy. Did that make them more difficult or more fun to write? DC: I would say more fun. I had to decide who these people were and — in the beginning — I wasn’t really sure who to trust, who not to trust, but then I started realizing how much fun it was to make people who seemed trustworthy not trustworthy and who seemed not trustworthy trustworthy. I had a good time with that, even though I was probably driving poor Riley crazy. EZB: A big question for readers has been why is Danny so angry at Lisa? DC: I think the reason that he’s so angry is because his parents’ world revolved around Lisa. When she was alive, it revolved around Lisa because she was this violin prodigy and everything was about her concerts and her schedule and he just felt like he didn’t count. And then when she died, it was even more so. The mother in particular was extremely depressed and never recovered from her daughter’s death and so he just feels as though he and Riley got the short end of the stick in that family and Lisa got everything. That’s why he’s bitter and angry with her. I wrote The Broken String prequel after I wrote the book, and it shows Riley and Danny when they were kids, so it really goes into their relationship and gives more layers to their relationship. You would understand better why he is so angry and why their closeness changed over the years. It’s one of those things that I didn’t really know until after the book when I wanted to write this prequel, and I thought what is it that I really want to know more about this story? I wanted to understand better their early relationship, so it really does give another layer for the reader. EZB: It came up during your She Reads chat that you use a revelation chart for secrets. Tell me more about how you put that together and how you make your decisions. Is there ever a point when you have too many secrets going on? DC: It’s a handwritten chart and it helps me know when there are so many secrets being revealed in a story, it helps me know what character knows what secret at what point in the story and also what the reader knows. Otherwise, I can get a little bit lost. I started [the chart] with my fourth novel, which is Keeper of the Light and had tons of things to be revealed, and I’ve done it ever since then with almost all my books. I want to time it the best way possible for the reader’s experience so that the reader is learning things at a pace that’s going to keep them excited about the story. EZB: Tell me about the setting of New Bern. Why did you choose that town? DC: I very often will choose a place that I think will work with the story, but also is a place that I want to visit. I had been to New Bern before for a few days and I absolutely loved it. It’s extremely charming. I did go back and spent several days there and spoke to some people who live there. I happened to be going at a time that a person I know was having her book club, so I ended up meting with the book club and one of members was the wife of the ex-chief of police so I took them out to dinner and really got a lot of information as to what New Bern would be like from everybody’s different perspective, including the police officer who’s in the story. He had a bigger role in an earlier draft. I learned so much from being there. It’s just a beautiful little town that I could imagine living in. Getting to write novels is really wonderful, because you can pick areas you’d like to visit and spend more time and just learn about them, so that’s why I picked New Bern. EZB: Does Nicholas Sparks still live there? DC: Yes, he does and to be honest I didn’t even realize Nicholas Sparks and any connection to New Bern when I decided to set the book there or I might not have done it because I feel like that’s his territory. Once I was so involved, I just decided well, I”m not going to be harming Nicholas Sparks. EZB: You shared a wonderful reader story during the She Reads chat about two men named Joe and Lefty who came to your booksigning. DC: I would say it was probably about 18 years ago. It was really interesting, because these two guys who were quite bedraggled looking came into the store, and the manager was trying to find a way to keep them out because she was afraid they were going to keep other customers away. Then, I just noticed that one of them had this dog-eared paperback in his hand of one of my books and we had a great discussion about the book, and it was obvious they’d both read it many times and I was really touched by that. EZB: Did they say what it was about the book that had touched them? 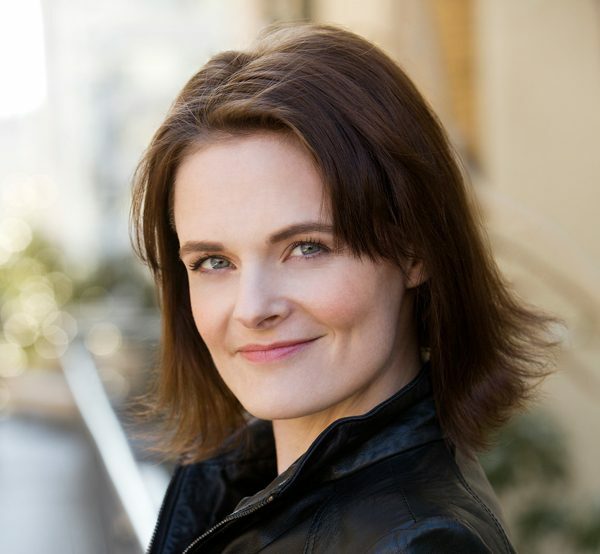 DC: They were enthralled with the character Annie [from “The Keeper of the Light” trilogy]. She’s dead, but she’s still a main character in the story, and she’s a very intriguing character. She’s probably one of the most intriguing characters I’ve ever written about. They were really taken with her and her story. Maybe they were in love with her. I don’t know. EZB: What type of response have you been getting from readers about The Silent Sister? DC: In the beginning, I was concerned because there were a couple of negative Amazon reviews, but now it seems like the reviews are all 5 stars and 4 stars. I’m very happy and the readers that I’ve heard from are all telling me they can’t put it down. That’s my favorite thing to hear that somebody stayed up all night till 4 a.m. reading. It was a hard book for me to write because as I mentioned, I started out in a different direction with the letters then had to scrap all of that. I’m just trying to figure out how to tell a story that’s a difficult story to tell. It was challenging and it just took a lot more time than I ever anticipated. For example, in the first few drafts Danny was dead. I really owe my editor for that one, because when I turned in whatever draft I was on then she said you know, Danny should be alive and I stated thinking about it and I thought oh boy that’s going to be a lot of work, but when I made Danny alive it really brought a whole new dimension into the book. EZB: What’s the overall message you’re trying to communicate in this book? Is it about family secrets, relationships between siblings, mothers and daughters? DC: I wasn’t trying to do anything, but what I’ve discovered when I write a story is there are themes that come out. Very often they’re the same theme, because I guess we just write what’s inside of us and things we’re dealing with. 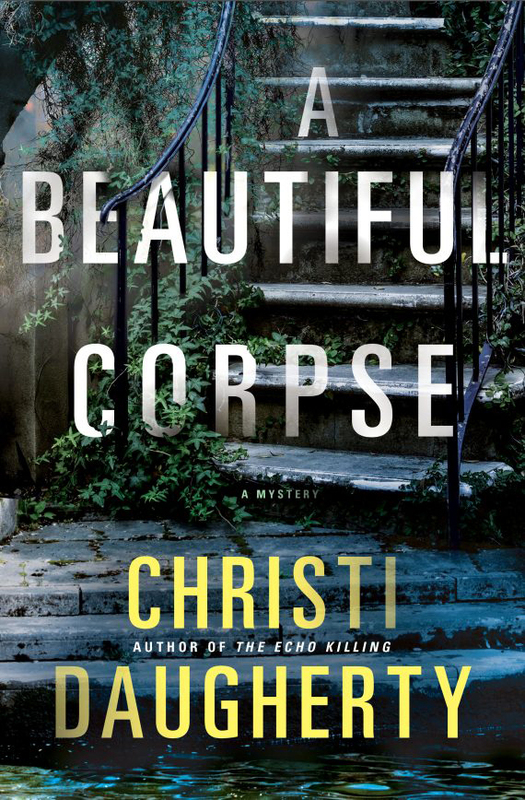 I think the theme that really emerges in this book is the destructive nature of secrets in a family. I’m a former therapist and so I’ve seen the destructive nature of secrets in a family over and over and over again. It wasn’t something in my own family, but from working with many families I’ve seen it and I’ve seen what it can do, particularly to the children. I think that’s the theme that emerges. Another one is how different each kid in a family views that family. When I talk to my siblings — there are four of us — we can look at the same memory, the same thing that happened when we were kids, and all four of us have completely different memories of what happened. I think that’s also part of what happened in this story is that the siblings really experienced their families in a totally different way. EZB: What can you say about your next novel Pretending to Dance? DC: It’s told from the perspective of a 14-year-old girl named Molly. She has an idyllic life in the mountains outside of Asheville with her extended family. They all live on kind of a family compound and she’s heading into one of her typical idyllic summers and she does not know that her family is making a big plan that’s going to turn her summer into her worst summer ever. That’s about the only way I can describe this book so far without giving anything away. EZB: Do you try and challenge yourself to do something new with each book? DC: I’m laughing, because I don’t have to try and challenge myself. Each book is a challenge in its own right. Each book I start out, I’m in absolute terror for probably about the first eight months I’m working on it because I don’t know if I can pull it off again. I’m always overwhelmed, I’m always terrified, I’m always unsure about what I’m doing and this is the 24th novel I’m working on, and it’s no different. It’s still that stark terror.